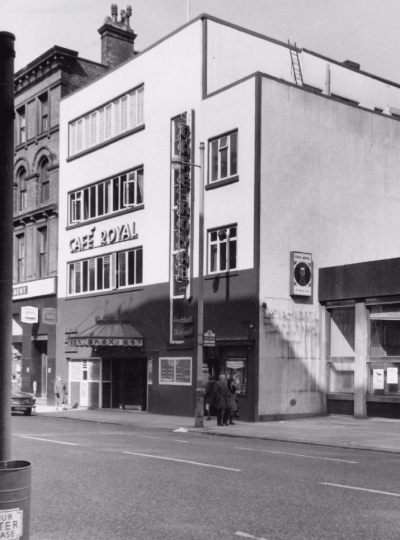 A slightly upmarket hang-out for gay men in the 1950s was the Café Royal. Situated on Peter Street just beyond the Midland Hotel (which also contained a gay friendly bar called the Concord.) Now a Subway – on the opposite side to Pizza Express. Musically, like most gay-friendly spaces at this time The Royal centred around live piano.